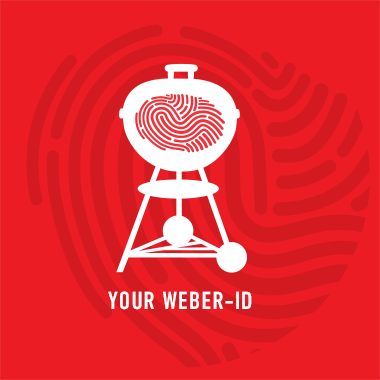 The following specific terms and conditions (the “Specific Terms”) govern your participation in the promotional offer “BUY A Weber Genesis II or Spirit II Gas Barbecue & Claim an iGrill 3 (https://www.weber.com/GB/en/accessories/cooking/igrill-and-thermometers/7205.html?cgid=1339#start=1) FOR FREE! Or BUY A Weber Spirit Classic Gas Barbecue (E-210 or E-310) & Claim an iGrill Mini (https://www.weber.com/GB/en/accessories/cooking/igrill-and-thermometers/7220.html?cgid=1339#start=1) FOR FREE!”(the “Offer”). By participating in the Offer the following Specific Terms are expressly accepted. 1.1 The promoter is Weber-Stephen Products (EMEA) GmbH of Franklinstr. 28/29, 10587 Berlin (the “Promoter”). 2.1 The title of the offer is “BUY A Weber Genesis II or Spirit II Gas Barbecue & Claim an iGrill 3 FOR FREE! OR BUY A Weber Spirit II Classic (E-210 or E-310) Barbecue & Claim an iGrill Mini FOR FREE!”. between the period of 28.03.2019 and 22.04.2019 (the “Offer Term”) and who hold a Weber ID account (the “Purchaser”). The account can be set up at https://www.weber.com/GB/en/register/. Addresses with 'Postal Code' contains 'GY1' or 'GY2' or 'GY3' or 'GY4' or 'GY5' or 'GY6' or 'GY7' or 'GY8' or 'GY9' or 'GY10' or 'JE1' or 'JE2' or 'JE3' or 'JE4' or 'HS1' or 'HS2' or 'HS3' or 'HS4' or 'HS5' or 'HS6' or 'HS7' or 'HS8' or 'HS9' or 'IM' or 'IV' or 'KW' or 'ZE1' or 'ZE2' or 'ZE3' or 'KA27' or 'KA28' or 'PA6' or 'PA7' or 'PA8' or 'PH1' or 'PH2' or 'PH3' or 'PH4' or 'PH50' or 'PA4' or 'PA2' or 'PA3' or 'FK17' or 'FK18' or 'FK19' or 'FK20' or 'FK21' or 'PO3' or 'PO40' or 'PO41' or 'TR21' or 'TR22' or 'TR23' or 'TR24' or 'TR25' but not 'Postal Code' contains 'PA39'. 5.1 If case you wish to end the contract of sale in relation to the purchased Genesis II, Spirit II or Spirit Classic (E-210 or E-310) after it has been dispatched to you or you have received it, you must return the free iGrillto the Promoter without undue delay (within 28 days). The Promoter will bear the reasonable costs of return. 5.2 If any provision or part-provision of these Specific Terms is or becomes invalid, illegal or unenforceable, it shall be deemed deleted, but that shall not affect the validity and enforceability of the rest of these Specific Terms. 6.1 Events may occur that result in the Promoter extending, refusing, reclaiming, cancelling, terminating, modifying or suspending the Offer and/or these terms at any point and for any reason. These may be due to a third party's illegal activity, technical difficulties and/or any other reasons beyond the control of the Promoter and accordingly the Purchaser agrees that the promoter shall have no liability as a result thereof. 6.2 In case that the Promoter is unable to supply the iGrillbecause of an unexpectedly high response or some other unanticipated factor outside its control, it will ensure relevant timely communication with applicants and consumers and, in case of any likely detriment, offer a reasonable substitute product. 8.1 If there is any reason to believe that there has been a breach of these terms and conditions, the Promoter may, at its sole discretion, reserve the right to exclude you from participating in the Offer. 8.2 The Promoter reserves the right to hold void, suspend, cancel, or amend the Offer where it becomes necessary to do so.